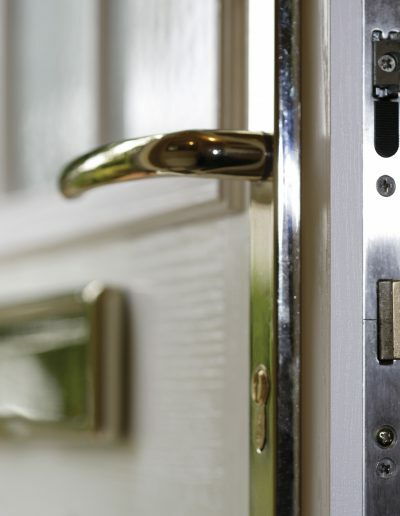 As the entrance to your home, your door is not only the first impression your visitors get but also your first line of protection against any unwanted intruders. 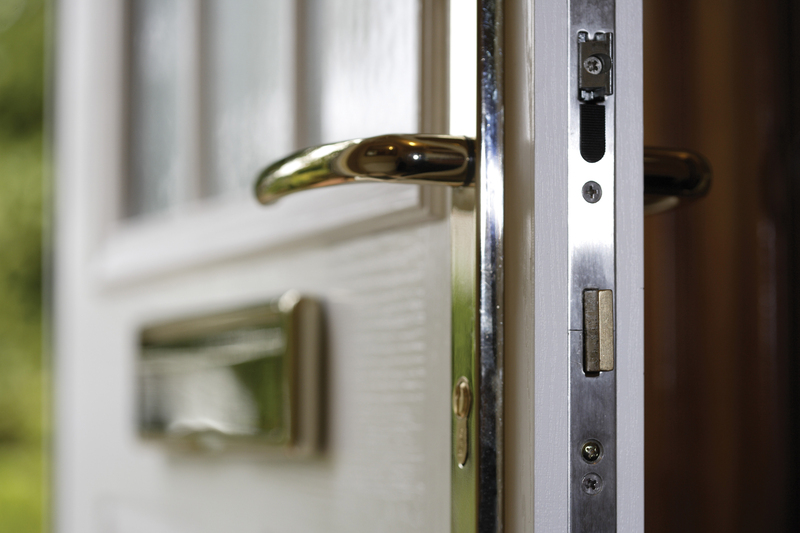 In today’s world of adverse weather conditions and ever increasing crime figures there is a growing need for people to feel safe and secure in their own homes which is why we have put together our definitive door collection. All of our doors are tested to rigorous weather and security standards which guarantee you a trouble free safe and secure installation everytime! 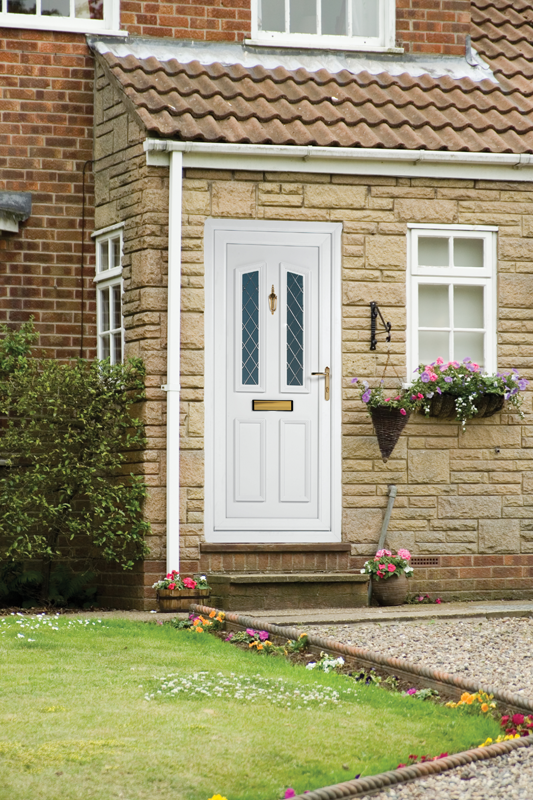 Our comprehensive range of PVCu doors not only look stunning but are also manufactured in a way to guarantee exemplary thermal performance. 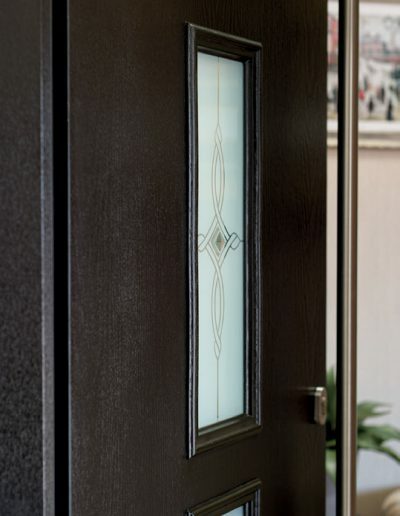 Our door panels are manufactured using a high technology technique the bonds two PVCu skins to a variety of core materials that ensures the panel for heat and moisture. 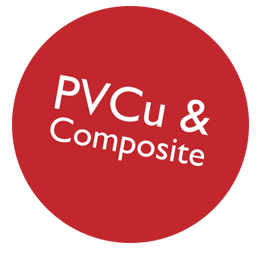 Depending on the degree of security required our panels can be supplied using a choice of core materials. The type A Expanded Polystyrene we use is classified under BS 476 and is totally recyclable, non toxic and inert. It contains no CFC’s or HFC’s and contains a fire retardent additive tested to BS 4752, formulated to restrict the extent of burn. Traditionally high security doors have always been considered ugly to behold, but recent advancements in production and technology means we are able to combine stunningly detailed designs and options with the very highest in security standards. 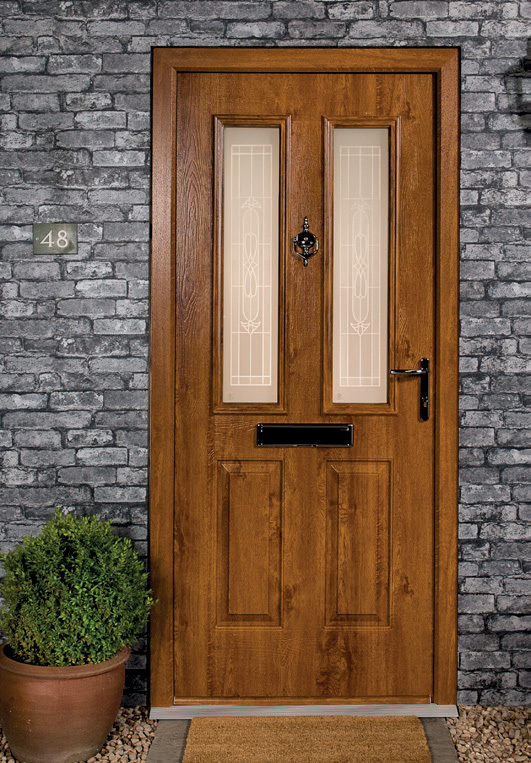 The beautifully moulded and richly grained exterior surface of our composite doors has the look and feel of traditional timer but without its many maintenance disadvantages. 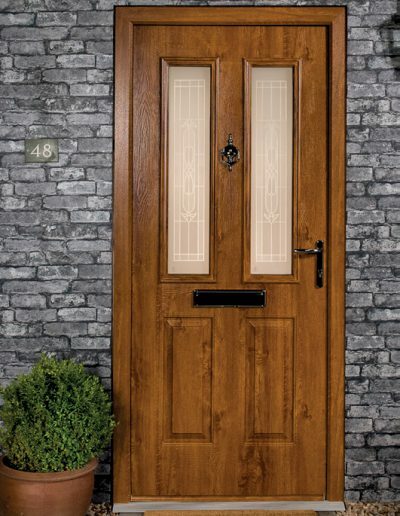 Available in a range of colours and styles, with white and woodgrained frames, our composite range comes with a stunning selection of hand crafted glass patterns that compliment every type of home. All of our door panels have been tested to the British Standard Institute kitemark PAS 023/024, this includes tests for air permeability, water tightness, wind resistance, door slamming and heavy abuse. Furthermore all sorts of human intervention techniques have been used to test the hinges, shootbolts, mortice bolts, roller cams and hook bolt mechanisms. The vigorous security tests are conducted in such a way to apply consistent loading and leveraging for at least three minutes in each vulnerable area. Quite simply its the best system around. 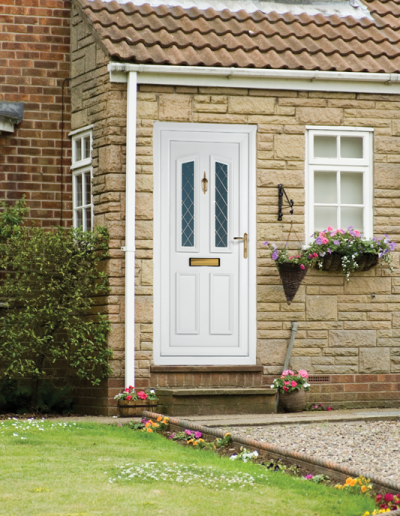 All our doors are approved to strict European standards and endorsed by the Association of British Insurers.